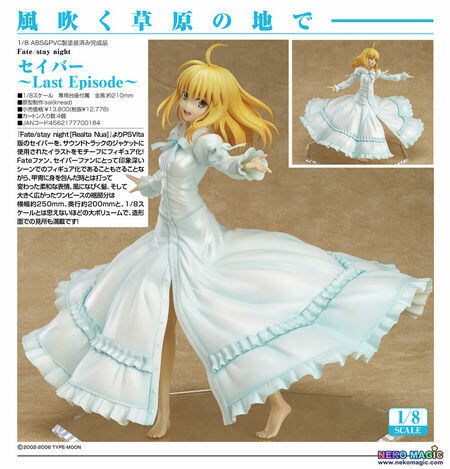 January 8th, 2015 By: GGT Category: 2015/04 release, Figure News. 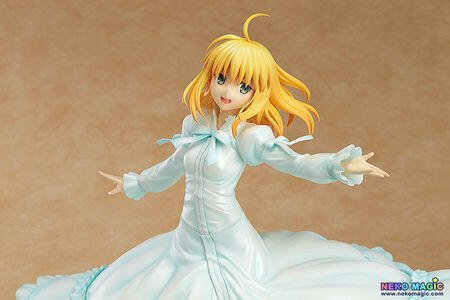 Wing is going to release the Saber ( セイバー ) ~Last Episode~ 1/8 PVC figure from the visual novel/anime “Fate/stay night” ( フェイト/ステイナイト ). Will be released in April 2015. 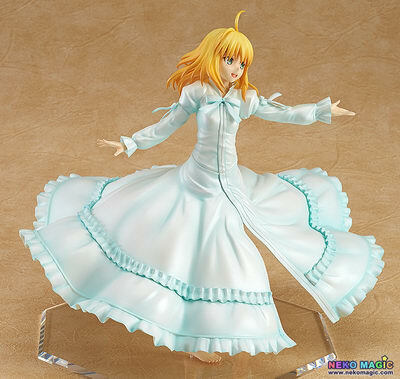 Around 210mm tall, 250mm width and 200mm depth, 12,778 yen. 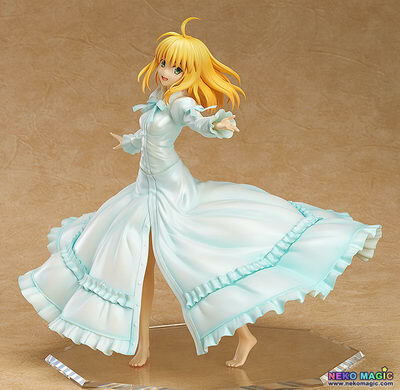 From the PSVita version of ‘Fate/stay night [Realta Nua]’ comes a figure of Saber based on an illustration used on the soundtrack jacket cover! 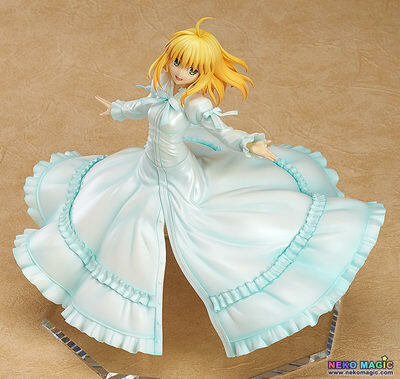 The memorable scene from the series has been faithfully captured for both Fate fans and Saber fans to enjoy by their side forevermore. 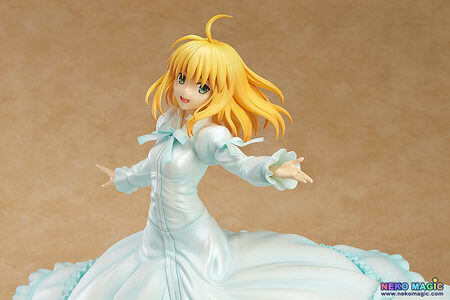 Saber is posed with a gentle smile on her face, wearing an outfit very different to her normal armored appearance. 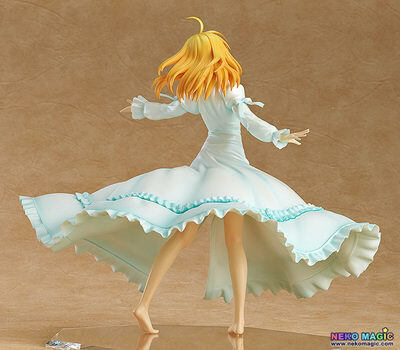 Her hair is blowing around in the wind, and her long, white one-piece dress is twirling around her – 200mm long and 250mm wide, a size that makes it hard to see her as a 1/8th scale figure! The details of the sculpt are also a delight to the eyes!